Another peculiar type is the coppy, or crested canary, in which the feathers of the crown are long and flat, and extend out from the center to form a cap that almost, if not entirely, conceals the beak and the eyes. In the most sought-for types the crown is black and the body nearly clear yellow. Crested birds are bred in several strains of canaries, the most popular kinds being those of good size. 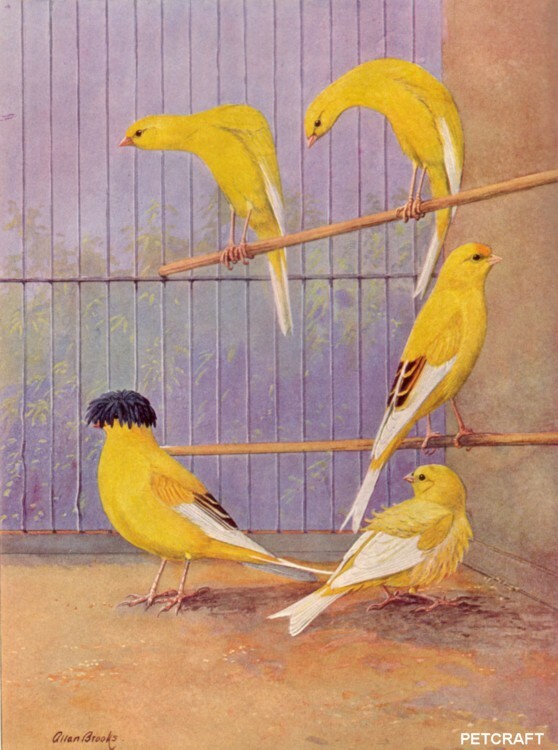 The crested bird illustrated is of the Lancashire breed. Previous PostNorwich CanaryNext PostPINK OR BLUE? HOW TO TELL IF YOUR PARROT IS A BOY OR A GIRL.